This is the 15th of 19 articles looking at the meta-results for both team and players, as collected from ELO-Following Football’s wide range of sources. Today, the St Kilda Saints. The team finished 11th with a home-and-away record of 11-11 with a percentage of 97. One game short of finals, as they had been the year before. Sigh. Boringly, 11th place, just like last year. Admittedly, I placed them there, too. Nobody had them falling so far, so completely out of contention after several competitive years (14th, then 9th, then 11th). Coming into the season, the players who were considered to be in the top 50 in the league by the AFLPA or The Roar… um, well, there weren’t any. Seb Ross did get some top 50 votes in one poll. Terribly. They won just four games, going 4-17-1, and finished ahead of only Gold Coast and Carlton. The Saints will enter the 2019 season on a six-game losing streak. Five years since their most recent wooden spoon, back in 2014. But they won four games that year, too, which makes you thankful as a Saints fan for the ineptitude of the Suns and Blues this season. LISTEN: Just how far can the Saints go in 2019? Can St Kilda play finals in 2019? It’s been eight years since the last Saints finals appearance. They came close the last two seasons, before this complete flop of a 2018. It’s been nine years since that legendary near-flag, drawing with Collingwood in what will be the last re-played Grand Final ever, before losing badly the following Saturday. It’s been ten years since going 19-0 to start 2009, only to lose two of the last three and then lose the grand final to Geelong (who also had a spectacular season) by two goals. 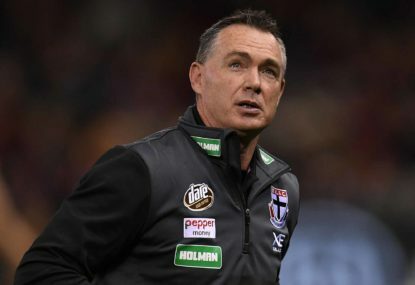 It’s been 17 years since the original wooden spoon holders (the Saints went winless throughout 1800s, losing every game from 1897 to 1899) were the perennial losers, placing 16th, 15th, and 15th from 2000-2002 – with just eleven wins across those three seasons. We’re praying not to return to those bleak days. The Saints were right at the median to start the year. After that starting point (49.8, directly between Hawthorn and West Coast! ), they were down to 35 by Round 4, 29.4 at the bye, and finished the season at 30.7, in 15th place. The other rating systems didn’t see such a moribund pattern. The Arc, for example, had peaks after Round 9 and a season-high peak at Round 17 – before also finishing in 15th. Final record: 4-17-1, 75.6%, with a scoring margin of – 519. AFL.com.au game predictions: Also 5-17. The Roar predictions: Guess what? 5-17. The individual picks totaled to 26-95. “Pick-A-Winner” predictions: 5.5 wins and 16.5 losses. The Age forecasters: 5-17 (are you sensing a theme here? ), with individual totals of 59-205. 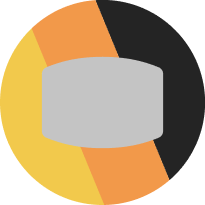 BetEasy “CrowdBet” percentages: Surprisingly… 5-17. My personal picks had them going – you guessed it – 5-17. What was their best game of the season? The most impressive of their five wins (don’t tell me the draw against the Giants wasn’t a “win” for the woeful Saints!) was probably their Round 15 two-point victory over the then-surging Melbourne Demons. Following a 19-point deficit early in the game, the Saints had the resilience to come right back and even lead at quarter-time. 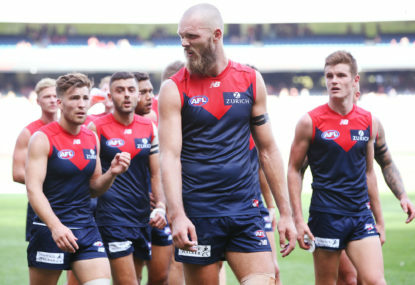 They reignited after every little Melbourne surge, all the way to the end of the game, when three Demon goals threatened to take away the win. This was the middle victory of their mid-season three-wins-in-four-games stretch – the one that ended at the start of that six-game losing streak they’re currently saddled with. The first victory, two weeks earlier just before the bye, looked on the surface to be of questionable value – a two-point win over the already-classified-as-marginal Gold Coast Suns. 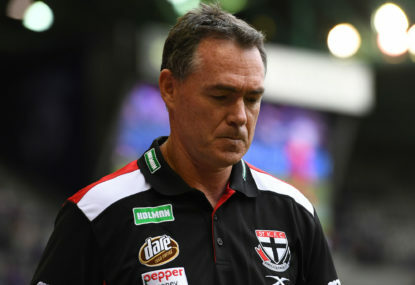 But not having won since Round 1, three months prior, and trailing by 39 near the end of the third quarter, the Saints could easily have been expected to write another one off and go to the bye with their tail between their legs. Instead, they scored 6.5 to nothing over the last 35 minutes or so, capped off by Jade Gresham’s second goal of the ball game, to negotiate a remarkable comeback that spilled over into the rest of the next month. Which game would they most like to erase from memory? Why not the entire season? Honestly, it was never just ‘one game’. The Saints never suffered the ludicrous losses that the Suns or Blues faithful had to endure this year. 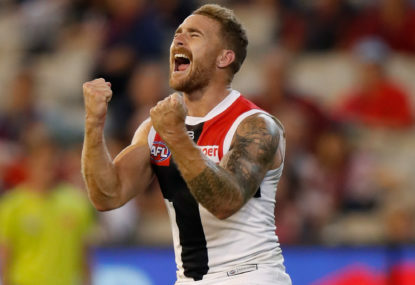 Their biggest margin of defeat, the 12-goal loss to Sydney in Round 12, was barely larger than the Saints’ 11-goal biggest victory over Carlton in Round 17, and was the trigger for that 3-1 stretch we just mentioned. But to choose one, let’s stick with the Round 2 loss at the hands of the Kangaroos, a team thought to be below the Saints on the pecking order this season. The Saints were a 20-point favorite at home (albeit a shared home) against a team that had looked pathetic in a rainstorm losing to Gold Coast in their opener. Both teams looked terrible (and were terrible) in the first half, but North Melbourne started to assert themselves in the third quarter before scoring the last seven goals of the game in the fourth. Watching this team, one many expected to make a run at finals this season, falter so badly against one figured to need swimming lessons to survive the depths they were presumably headed for made the faithful rethink their expectations for the season. Best & Fairest finish: First, for the fourth time. 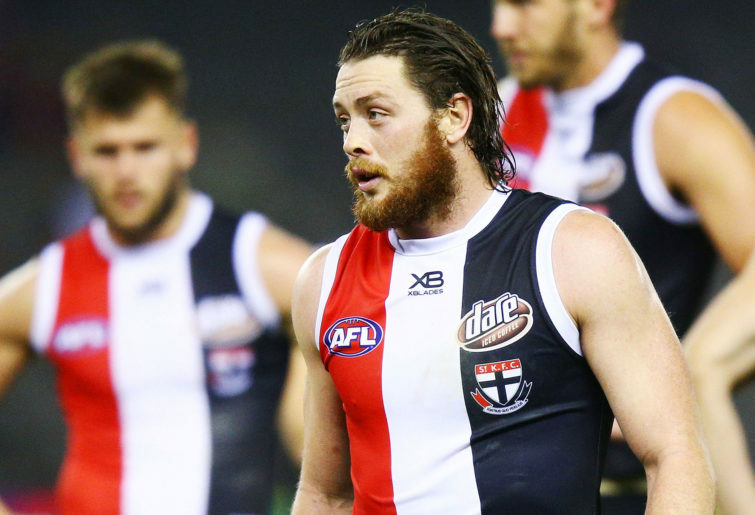 Steven received eighteen votes for the Brownlow medal, most by far on the Saints and eighth in the league. Last year’s result: Second (to Seb Ross), 48th overall. In 2016, he was also first on the club (16th overall). Notable games: Three dominant games (Round 1, Round 17, and Round 23), one prominent game (Round 13), and one notable game (Round 4). Best & Fairest finish: Second. Received six Brownlow votes, also second on the team. Notable games: Two dominant games, in Round 5 and Round 20, and one prominent game (in Round 13). Notable games: One dominant game (Round 10), and two prominent games (Round 15 and Round 17). Best & Fairest finish: Third. Notable games: One dominant game, in Round 22, and one prominent game, in Round 23. He was at just 49 points with five games to go. Notable games: One prominent game, in Round 15. Best & Fairest finish: Ninth. 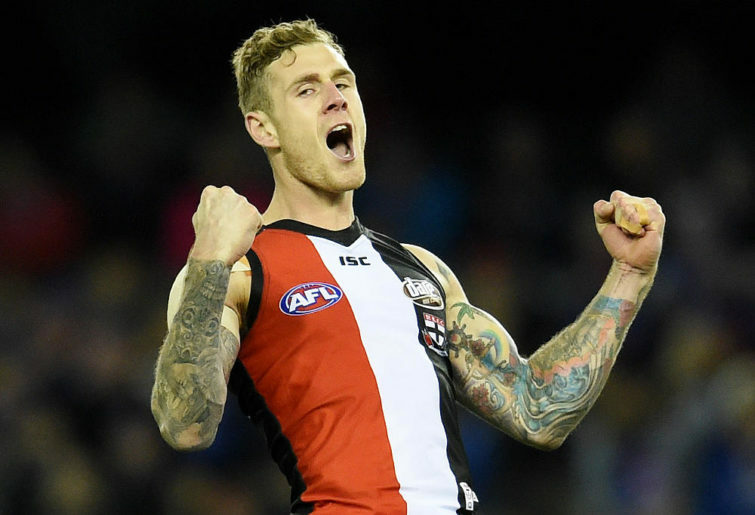 Billings received the fourth-most votes for the Brownlow Medal on the Saints in 2018…by getting two votes in Round 17. That’s it. Not a great year for St. Kilda in the officials’ eyes. Last year’s result: Third (51st overall). Notable games: One prominent game (not surprisingly, in Round 17). Best & Fairest finish: Eighth. Received four Brownlow votes, third most on the team. Notable games: One dominant game, in Round 11, where three of his four Brownlow votes came from. Notable games: One prominent game, in Round 16. The Saints had four top 100 players and eight top 200 players in the 2018 ELO-FF meta-rankings. Averages would be 5½ and 11, respectively. Blake Acres – 45 points (12th place) – One prominent game, back in Round 1. Jarryn Geary – 48 points (11th place) – Fifth in the club’s Best & Fairest voting. Jack Lonie – 40 points (13th place) – One prominent game, in Round 22. Daniel McKenzie – 19 points (22nd place) – Tenth in Best & Fairest voting. In: Dan Hannebery (from Sydney), Dean Kent (from Melbourne). Neither will add anything significant to this roster. Current list of draft picks: 4, 36, 46, 67, and 79. Backs: Logan Austin, Nathan Brown, Jake Carlisle, Jarryn Geary, Daniel McKenzie, Dylan Roberton, Jimmy Webster. Midfielders: David Armitage, Hunter Clark, Luke Dunstan, Dan Hannebery, Jack Newnes, Seb Ross, Jack Steele, Jack Steven. Forwards: Blake Acres, Jack Billings, Josh Battle, Nick Coffield, Josh Bruce, Jade Gresham, Dean Kent, Ben Long, Jack Lonie, Rowan Marshall, Paddy McCartin, Tim Membrey, Shane Savage, Jack Sinclair. Truly, what about the work done since the end of the season gives you hope, as a Saints fan, that 2019 will mark a return to challenging to make finals, much less the glory days of a decade ago? They won’t make it out of the bottom six in 2019. We have them finishing 17th. 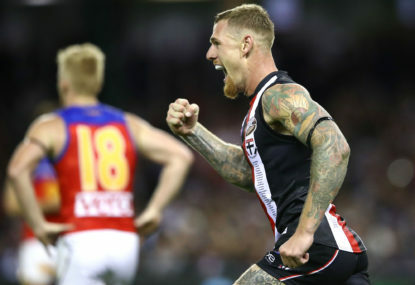 When St Kilda defeated Melbourne this past Saturday, something happened which hadn’t been seen since 2010: the Saints found themselves on top of the AFL ladder. In most years we see a club make a leap up the ladder that no-one saw coming. Do the Saints have your attention yet? On Good Friday 2018, St Kilda put in one of the worst performances seen on a football field. Only one round into the new season and already a few teams have copped some heat for some lacklustre performances over the weekend, and the onus will be on them to bounce back in Round 2. Dylan Roberton will sit out the 2019 AFL season due to an ongoing heart condition, although the St Kilda defender has not ruled out the possibility of resuming his career in 2020.